I love chicken coop signs! I think they’re so fun and no coop is complete without one. Every crazy chicken lady needs the perfect sign for her coop. 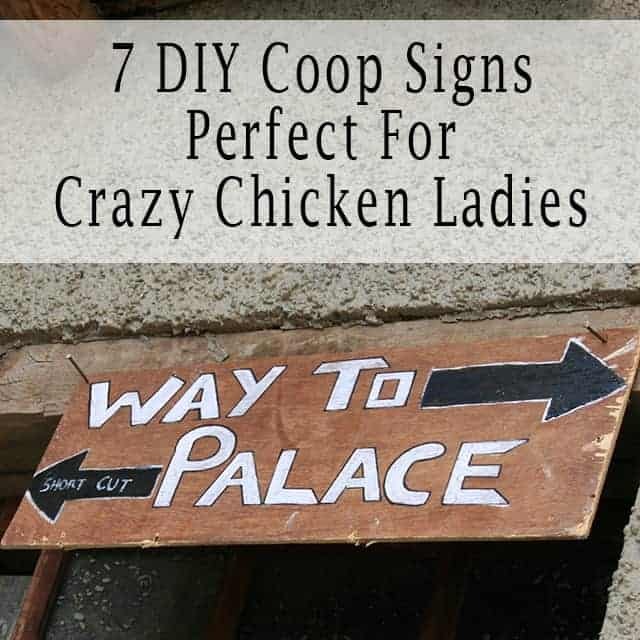 Luckily for you, chicken coop signs are so easy to make yourself! So today I decided to put together some of my absolute favorite DIY chicken coop signs. These signs are great because most of them just require some wood and paint! Let’s get started! Here are some of my favorite DIY chicken coop signs! I love this sign. Remind your “ladies” of how important they are every time they come into their coop! You could also throw in some rose petals to their nesting boxes to give your “ladies” an extra treat. I LOVE this sign! I need this for our new duck pen! This sign would be SOOOO easy to make. All you need are some wood letters like these ones here and you are good to go! I can just see my ducks in this cute coop munching on some yummy treats. Not going to lie, I kind of want this sign for my kitchen. But it would look amazing on a chicken coop! This sign is made with an old fence post and only takes 1-2 hours to create! Which of these coop signs is your favorite?